This new version of the Clearaudio Emotion SE vinyl turntable uses all the technical and design elements that made this vinyl turntable a success. 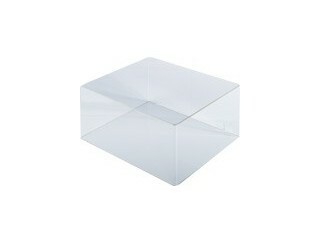 It thus naturally features an opaque acrylic plinth. 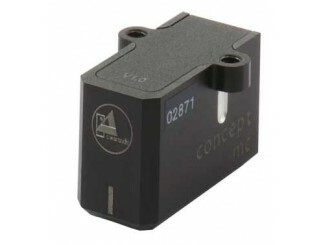 It was optimised to provide an excellent isolation from vibrations and resonance. The 30 mm thick PMMA acrylic platter is driven by a silicon belt via a synchronous motor, encapsulated in a heavy metal housing. It is totally isolated from the turntable so as to protect it from vibration. Speed change (33t & 45t) is manual by using the belt’s pinions. The bearing has been modified. We now have the ceramic ‘CMB’ version with magnetic repulsion. And the main new feature here is the tonearms in Carbon from SATISFY, and associated with it, a cartridge from Clearaudio with the Concept MM moving magnet. This turntable, as with all the Clearaudio vinyl turntables, is magnificently built. Our German friends tend to build very low tolerance products, and we’re big fans of this emphasis on precision. It is fairly simple to use and you can appreciate its musicality within a few minutes! Clearaudio’s signature sound rings out from the opening bars: playback is transparent and crystal clear, drawing out even the smallest of details from each and every groove. The dynamic range is amazing and is spread evenly across the entire spectrum. This is particularly noticeable in the low end of the range, which is punchy and tight whilst retaining beautiful subtlety. The reproduction of acoustic bass instruments and electro lines is impressive – you can really hear all of the articulation and modulations. The mids are clear and open, giving vocals amazing presence and strings distinct punch. The treble flies high, and fast, and the ends of notes – especially cymbals and their reverberations – seem to stretch out endlessly. The sound stage is wide, authentic and precise. Its many qualities make for a very versatile product. We would recommend it to fans of classical, blues, jazz, and reggae alike! 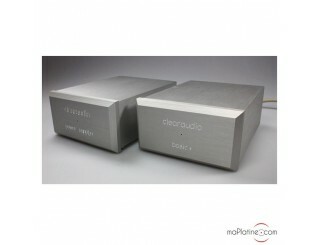 This latest model of the Clearaudio EMOTION SE is a superb triumph! It effectively dusts off a benchmark product and gives it a second lease of life for the foreseeable future..!